What; represents what the soldiers have gone through while having strong quotes from soldiers who’ve gave our world peace. As well as soldiers who had seen a death happen which leaves them traumatized. 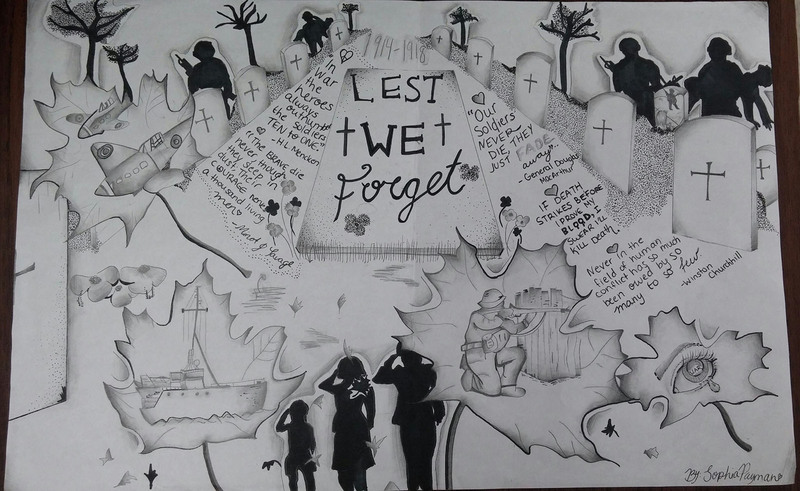 My drawing also shows what the family loses at war. 3. My message is that respect should be earned for the soldiers at war because they’ve sacrificed their lives so that families back at home will now live in peace. In war, truth is the first casualty. ..